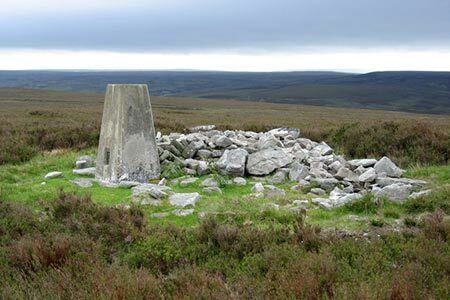 This Northumberland walk crosses rural farmland and continues to visit the summit of Watson's Pike in an area of open moorland where careful navigation is required. During the bird nesting season, access to Watson's Pike is restricted. A GPX File is available for download (see walk description). This guidebook contains detailed route descriptions for 36 day walks in Northumberland including the Cheviot Hills. The terrain varies from wild walks and craggy ascents to gentle riverside strolls. Each route ranges from 4 to 16 miles in length and there is the opportunity to link several walks together to create longer treks.